Home > culture, dating, fun, health, humor, Life, love, Man Law, music, musings, Relationships, Women	> All Glory Is Fleeting: An Exclusive Interview with 48 Laws of Power and The 50th Law Author, Robert Greene, Part I. All Glory Is Fleeting: An Exclusive Interview with 48 Laws of Power and The 50th Law Author, Robert Greene, Part I. As a young boy growing up in Memphis,Tennessee in the 1920s, my Grandfather loved to tell us stories of how he would pick up dinner table chairs by one of the legs and march around the house shouting “POWER”. Perhaps its by no coincidence at all that in 2001 when I finally saw a book entitled “The 48 Laws of Power” (click here for a quick review) sitting on the top shelf of a Barnes and Noble, that I thought back to my Grandfather’s story. Unlike most books that caught my interest, I did not jump at the chance to read this. Instead, I passed by it week after week, and month after month, staring at this book with guarded interest. Almost any movie that hoped to instill moralities to youngsters ranging from Star Wars to Indiana Jones to the more recent Lord of the Rings warned against the power-hungry and those who seek it. I would make sure that I would not be one of those that fell victim to power’s seductive allure. 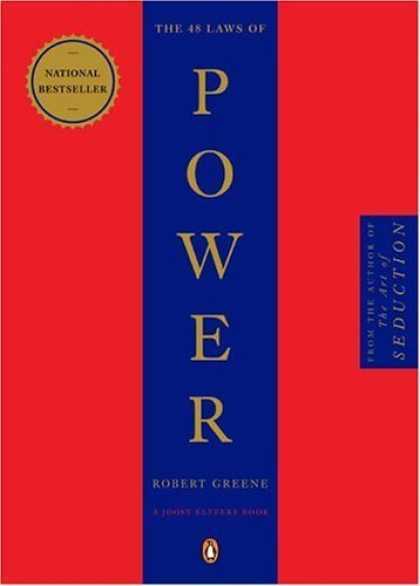 Robert Greene's First Masterpiece "The 48 Laws of Power"
I could barely restrain myself from throwing my credit card at the cashier and running out of the store with the book. After months of deliberation, I had finally thumbed through and read enough of it to justify my purchase. This book was not about POWER at the expense of others. Well, not really, it was Power for the sake of how to prevent others from using these strategies AGAINST you. If you were to protect yourself from those that might seek to take advantage of your situation and lot in life, you would need to know these 48 Laws and that was all the justification I needed. Despite my high interest in reading the book, I was a college student at that time and was swamped with important things to do like drinking, partying,women and when I was free of those, studying for class. Even though I had the book sitting on my shelf at school, it was not until a few years later that I would actually go through the book in its entirety. Right or wrong, I bought it anyway. Better to know these things than to be ignorant of them is how I rationalized the decision. Ultimately, it was these two books “The 48 Laws of Power” and “Art of Seduction” that I would wind up showing to my friends and recommending to people when they encountered trouble and needed advice with life or women. I didn’t quite have an answer for it this time, but I knew from past experience that I had been a huge fan of Robert Greene’s previous books and his writings were powerful and well-researched often drawing from historical examples as case studies. 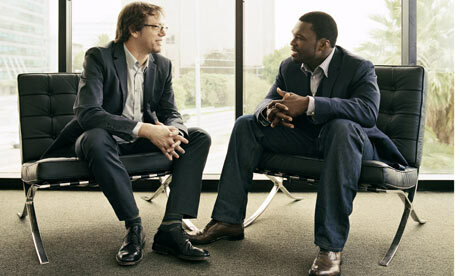 If Robert Greene felt that it was something I needed to know, who was I to question his authority? I bit the bullet and made the purchase. I loved it. After going through the book in its entirety, I contacted the author and requested an interview with him for the blog. Perhaps it was the fact that “Law” was in the name (i.e. Unbreakable Man Laws) and not because of the paragraphs of praise of appreciation for his books, or the expensive Turkey sent to him on Thanksgiving, but he agreed to the interview anyway. Contained below is Part I of this correspondence with the author. I suggest printing it out and keeping it with you until you have a chance to buy the book. It just might change your life, as it did mine when I decided to stop having life throw me by the reins and I decided to take control of my destiny. 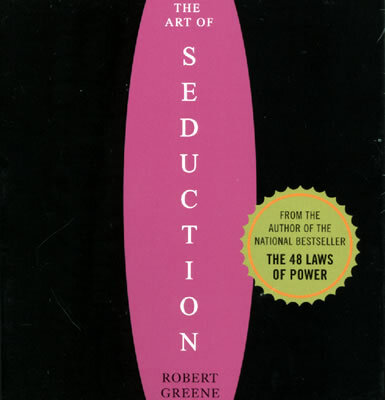 Robert's second Masterpiece "The Art of Seduction"
Ethan Bishop: You have written several best-selling books including 48 Laws of Power, The Art of Seduction, and The 33 Strategies of War. In your latest book, The 50th Law, you again revisit the “Power” theme. 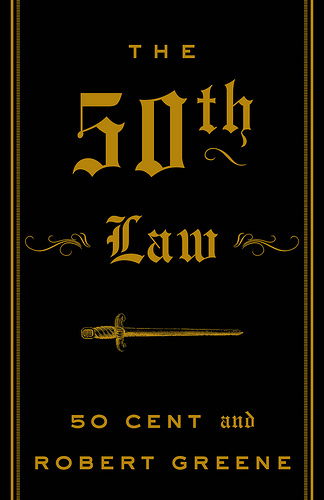 The 50th Law seemed to be the “48 Laws of Power” in action. Although we had historical examples of Napoleon and Alexander the Great, in The 50th Law, you used someone in our lifetime as an example of one who has “mastered” these skills. How do you think the power “laws” play out in present day society? Robert Greene: There are two schools of thought. Some people believe that humans are constantly changing, that ideas of power must be constantly updated to current realities. For instance, how we deal with technology has altered something in our behavior patterns and in our character. Others believe that there is a timeless quality to human nature. We are emotional creatures and although technological progress has definitely shaped us in many ways, there is something at our core that remains essentially the same. I am clearly in the latter camp. People want to believe in progress, in how far we have come, but the truth is less glamorous. As much as men and women in ancient times we remain rooted in the present and find it hard to think past the moment; we react to events instead of reflect; we respond with our ego then find moral justifications for what we do; we choose the path of least resistance and find effort distasteful. We are supremely impatient. All of these are elements in our nature that we must struggle against and overcome. They are there because we are the animal that thinks, and the animal part of us has not gone away or diminished to any degree. Technology cannot alter that; only you, as an individual, through your efforts. So, for instance, take law number one—Never Outshine the Master. The idea is that people above you, your boss or director, have egos and are generally more insecure than you think. If you inadvertently strike their insecurities, you will alienate them in ways you cannot see or notice immediately. You may end up fired or demoted or somehow isolated and never know why. You could do this by trying so hard to please them that the boss thinks you are after his position, or that other people are coming to like you more than him. I have seen this happen dozens of times—to me and to other people in my field. I have heard this story repeated countless times by those who want advice from me. This is not going to change, no matter how democratic we become or how much time we spend on the Internet. A person’s ego is generally fragile and none more so than the person on top. You can violate this law at your own risk in 2010, and I guarantee your life will be rather difficult. Ethan Bishop: The 50th Law could easily be called the Universal Law because in it you transcend those instances of race, class and background to show how these laws of “Power” apply to everyone. In what ways do you think the “Laws of Fearlessness” may apply to those in a corporate or office setting? Must one have grown up in an impoverished setting to learn these “street smarts”? Robert Greene: On the streets of Southside Queens where Fifty grew up, feeling fear was unavoidable. He had to face rival hustlers threatening violence, police crackdowns, gangs trying to muscle their way into his business. In some perverse way, this was an advantage. It was clear to him the nature of his fears, what was causing them and the real dangers in his life if he succumbed to them. You can’t hustle on the streets in a fearful frame of mind. People smell it on you and you become too defensive. You lose your edge. Yet another excellent read and yes, you are starting to see a pattern. 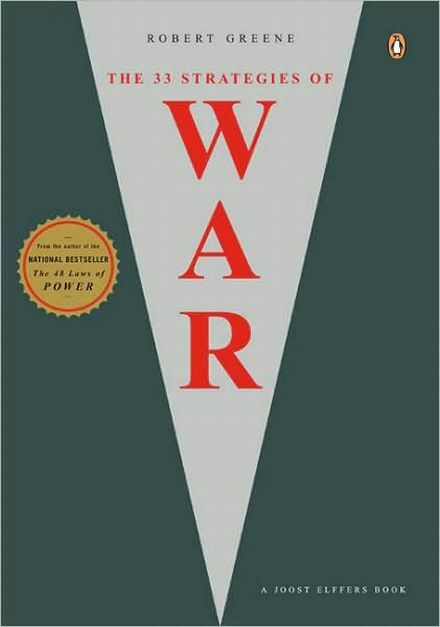 Robert Greene's third book, "The 33 Strategies of War"
In the office setting, it is much less clear. And this can be a great problem. In business we face many dangers, probably the most critical now being the changes going on in so many industries. We humans have a great fear of change and anything remotely chaotic. Because the danger is less obvious than someone pointing a gun at our heads, we can delude ourselves that everything is okay, that we can keep on doing what we have done in the past. Unaware that we are operating in a fearful manner, we convince ourselves that we are merely being conservative, prudent and practical. We humans are masters at denying our fears. The 50th Law is designed to make it impossible for you to remain in a state of denial. It shows you in brutal detail the anxieties that are infecting your decision-making process and the dangers this presents to you. The book operates as a kind of slap on the face, making you confront reality as Fifty had to do on the streets. Perhaps it is easier to have your eyes opened when dangers are more acute, but you can develop a fearless mind at any point in life and in any circumstance. In fact, if you come to this mindset on your own, through reading, thinking and working on yourself it can be even more powerful than having it imposed on you by circumstance. Take the intense fear of change. In the hood, nothing stays the same—it is constant chaos and new trends. Fifty learned early on to move with the flow and not hold on to the past. This has served him very well in business. He is in the forefront of entertainers using the Internet in very creative ways. He was one of the first artists to see that you could not stop piracy and that you needed to find other streams of revenue besides CD sales. You can have all the business pedigree in the world, an MBA from the finest school, but if you find change as something threatening, you will make bad decisions and rely on stale strategies. It’s that simple. To overcome that fear you need to work on yourself; to work on yourself you need to be aware of the problem. The book will get you to that point. Ethan Bishop: One of the most interesting and intriguing concepts in the book was Lesson #3 – the chapter on “Opportunism” and how Curtis (50 Cent) conditioned himself to think that opportunity is all around us and not only “once in a lifetime.” What can we learn from people who have gone through significant adversity? Why do you suppose we tend to view these opportunities as “chances of a lifetime” rather than everyday occurrences? How can we learn to see opportunities in everyday occurrences? Robert Greene: I look at it this way. We all live in an environment that affects us both physically and mentally. An environment like the hood I picture as something tight and pressurized. You are not free to move wherever you like. People are packed in tightly, and emotions are heated. You are very aware of the limitations and hardships of your life and this affects your mentality. If you’re a hustler, if you’re ambitious, as Fifty was, this makes you painfully aware that life is short and that you must make the most of everything that comes your way. For Fifty a chance encounter with Jam Master Jay, at a time when he was wanting to get out of the hustling racket, meant that he had to exploit this to the maximum. Not merely befriend Jay, and turn him into a valuable contact—what probably most of us might have done—but attach himself to the man and use him as a mentor. He had to get everything out of this moment he possibly could. With this energy impelling him forward, he managed to ingratiate himself with Jay and for the next several years served an apprenticeship under him that transformed Fifty into a savvy musician. Although this has only been out for a few months, it is sure to become a classic. The 50th Law explains the 10 "Laws of Fearlessness". Later, after Fifty was shot in 2000 and the record label Columbia canceled his first album and dropped him from the label, it looked like he was finished. He couldn’t return to hustling (there was still a contract out on his life) and his music career seemed over. But with that inner heat that comes from growing up in such environment, he turned it around in his mind. Being shot and surviving could be the ultimate marketing device and sign of street credibility. It was an amazing opportunity to launch a different music career—guerrilla style, appealing directly to his audience, creating a new sound. When you think like that, then it means that everything that crosses your path, the good and the bad, can be exploited for some positive purpose. Now most of us grow up in environments that are looser and less constricting than the hood. In fact, we don’t really feel our environment as an environment. We move in it like a fish in water, comfortable and at ease. We can move to different neighborhoods. We can imagine living in different cities, wherever work takes us. This looseness has an affect on our minds. We do not feel the same sense of urgency or danger in the world around us. We feel like we have all of the time in the world. Some day, we will make that project we wanted to, when it becomes important. We waste valuable time. When something bad happens to us, it seems like a great injustice. Our instinct is to complain and feel slighted. We get depressed. When something good crosses our path, like an opportunity, we go at it with half our spirit, trying to hedge our bets. But all of this is in our heads. Our world is just as dangerous and heated as the hood, but it is not so obvious. We are not so keenly aware of the dangers, the intense competitiveness of the global economy. We need to be more aware of this reality, of feeling the tightness and the dangers that are out there, making our senses keener, so that we recognize the incredible opportunities that continually cross our paths. It is all in how you look at things. You can choose to wait for the golden moment that may never come, or you can actively seek out the opportunities in everything that is around you. I know the difference personally. When I was offered the chance to write my first book, based on a chance encounter with a book packager, Joost Elffers, I recognized this as my Jam Master Jay moment. For two years I worked like a fiend on The 48 Laws. It was my ticket out of the film business and into something I always wanted. I turned a chance encounter into an amazing opportunity. But now on several occasions I have offered other people similar opportunities in working with me on some level; I would train them for a great writing career. But they do not feel the hunger and the need that I felt when I was 36, and so they come to this with half a heart and convert an opportunity into a lukewarm possibility and it all slips by. It is not just your mindset, but that inner heat and need that makes you an opportunist like Fifty or Napoleon. And there is nothing wrong with having ambition. Continue to Part II of this interview! Great Interview. Thank you for introducing him and his work. I whole heartedly agree that opportunities are around us, it’s a matter of being focused enough to take advantage of them. A question for Robert Green (or Ethan;)): Does it matter which order the books are read? Are they related in anyway? Sounds like they have the “Power” in common. I can’t wait to read them all! Each of Robert’s book stand completely alone. You can think of each of them as a separate Encyclopedia of Power, Seduction, and War. All of them are excellent!